Wall-mounted gas heaters are commonly found in older homes, businesses and apartments. In the days before central heating, these devices were the only way to heat a space. The problem is that the heaters aren't very attractive and stick out like sore thumbs. 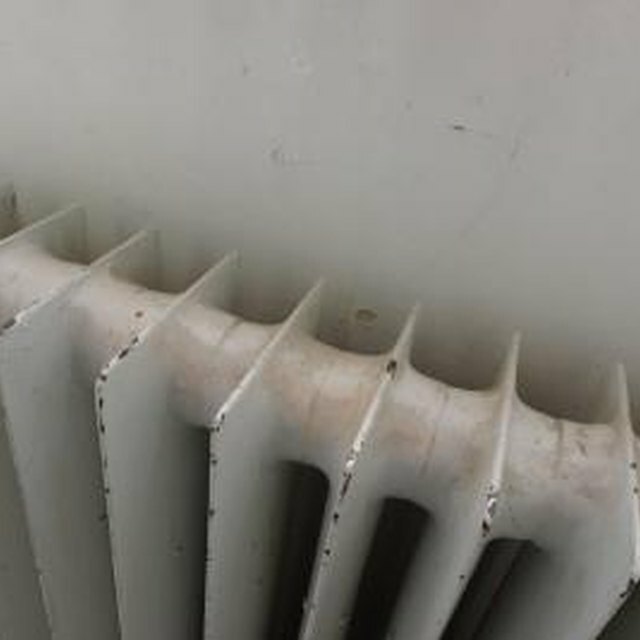 Replacing the heater is an expensive and tricky prospect that requires a complete overhaul of the heating system. However, decorating around a heater can hide it and make it blend into the room's decor. Wall heaters are functional, but not very well designed. Turn the wall-mounted heater into a fireplace-style area. Non-functioning fireplaces add style to your home and are less expensive than adding a working fireplace. You only need a few items, namely a fireplace mantle. Measure the size of the heater first, including its height and width. Then find a fireplace mantle that fits that size. Install the fireplace mantle above and around the heater, making the heater serve as the center of the piece. Place a set of fireplace tools near the mantle to create the effect of a real, working fireplace. Give the space a cozy look by adding two armchairs on either side of the heater. If you want to make the space more functional, add a small coffee table between the chairs. Tuck the wall-mounted heater away behind a folding screen. These screens typically have two or three separate screens that are attached together with hinges. Make sure that the folding screen is large enough to completely cover the front of the heater, if not the front and both sides. Pick a screen that matches the rest of your home or the design of the room. For example, you can use a screen decorated with photo frames on the front to display images of your family. A folding display made from pegboard is another option. Use pegboard hooks to hang artwork, photographs or other decorative items on the screen. One of the simplest and easiest ways to hide a wall mount heater is to paint it. Choose a color that matches the color of the walls or matches other decorative elements in the room. Always use a heat resistant paint that won't chip or melt when the heater is turned on. Alternately, you can turn the wall mounted heater into a decorative element of the room. Paint it a bright color and add a fake frame to the wall surrounding it. Use a frame or wood trim around the top and sides of the heater. Apartment Therapy: Hide My Ugly Radiator & Other Things?